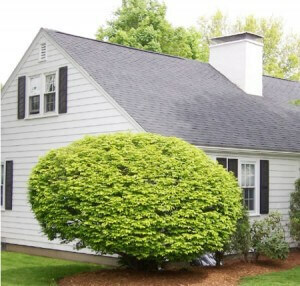 The property is to be sold or bought and problems that might be missed during a general home inspection are a concern. This is not just a service for those planning the purchase of a home ~ many of our satisfied clients are homeowners in the process of selling their homes who wish to be aware of any potential problems which might delay the sale of their home. There has been a problem with the chimney or venting system. The property owner recognizes that the chimney should be inspected yearly and cleaned if necessary. There are many other reasons to perform a chimney inspection. The chimney professional is thus called to the property to inspect the chimney. But what does this really mean? What is the chimney professional going to do? 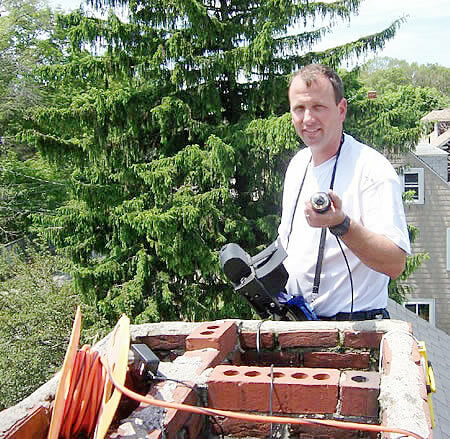 In the past, the understanding of what was entailed in a chimney “inspection” was not necessarily the same for the property owner and the chimney professional. Clearly, a mutual understanding was necessary but how would this come about? Enter the Chimney Safety Institute of America (CSIA) and the National Fire Protection Association (NFPA). Working together, these organizations examined the issue and provided clear guidelines for a chimney inspection that would be acceptable to both the property owner and the chimney professional. Chimney Inspections are now grouped into three levels: Level I, Level II, and Level III. What makes one different from the other? Access. Access is the ability to see and inspect various areas of the chimney. 1. Readily accessible portions of chimney exterior and interior. 2. Accessible portions of appliance and chimney connection. 2. Go on the roof to check for damage not visible from below. 3. Certain conditions may prevent us from performing a rooftop inspection: e.g., conditions prevent safe access. 1. Lack of obstruction or combustible deposits in the flue. 2. Basic appliance installation and connection. 1. During annual inspection as required by Section 13.2 of NFPA 211. 2. During routine cleaning of the chimney flue or chimney liner. 3. Upon direct replacement of a connected appliance with one of similar type, input rating, and efficiency. A Level I inspection is indicated when verification of the suitability of the chimney for continued service, under the same conditions and with the same appliance or appliances, is needed. Note: For real estate inspections this is the level of inspection that MUST be performed in accordance with the National Fire Protection Association standards. 1. Includes all accessible portions of the chimney exterior and interior. 2. Including areas within accessible attics, crawl spaces, and basements. 3. Accessible portions of the appliance and chimney connection. Shall include inspection by video scanning or other means of inspection. 3. All accessible areas of the chimney are inspected: attics, basements, and crawl spaces. 4. Chimney interior is inspected with a video camera. 5. Go on the roof to check for damage not visible from below. 6. Certain conditions may prevent us from performing a rooftop inspection: e.g., conditions prevent safe access. 3. Proper construction and condition of accessible portions of the chimney structure and all enclosed flues. 4. Proper clearances from combustibles in accessible locations. 1. Upon addition or removal of one or more connected appliances. 2. Replacement of an appliance with one of dissimilar type in input rating or efficiency. 3. Prior to relining or replacement of flue lining. 4. Upon sale or transfer of the property. 5. After an operating malfunction or external event likely to have caused damage to the chimney. 1. When verification of the suitability of the chimney for new or changed conditions of service needed. 2. When a Level I inspection is not sufficient to determine the serviceability of the chimney. Note: We are including information about Level III inspections in order to present all the levels of possible inspection. As can be seen from the level of accessibility mentioned below, Level III inspections are necessary only under severe circumstances. 4 Seasons Chimney Service does not perform Level III inspections since this level of inspection calls for the near destruction of the chimney! 2. Including concealed areas of the building or chimney. 3. Shall include removal of components of the building or chimney where necessary. 4. Removal of such components shall be required only as necessary to gain access to areas that are the subject of the inspection.